What hymn about God’s all-encompassing love was written by a repentant London bad boy? Jesus knew that a good story has more lasting power than tedious, wordy arguments. 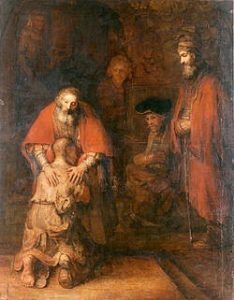 Centuries after he first told it, the “Parable of the Prodigal Son” is still a cultural touchstone with a clear message: God is a loving parent who welcomes us home after we’ve made fools of ourselves. The text is based, in part, on Matthew 11: 28-30, in which Jesus says, “Come to me, all that are weary and are carrying heavy burdens, and I will give you rest.” With Hart, we feel the weariness and struggle, the lightening of our burdens, the deep relief of knowing ourselves loved. 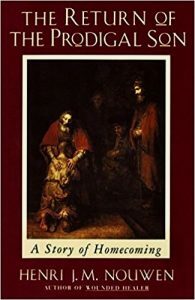 Jesus’s many-layered parable provides a model of sympathy for both sons, the one who knows enough to feel ashamed and the one who doesn’t. 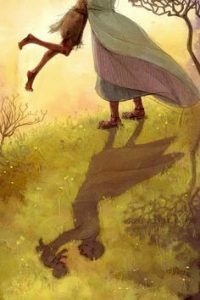 The father in this story runs out to greet them both, reassure both, welcome both to come into a house filled with joy.